The dry hair is the most common problem with today’s public. We all long for healthy and lustrous hair. The dry hair makes you look dull and unhealthy. It also reflects your personality. This is a serious hair problem and must be fixed immediately. 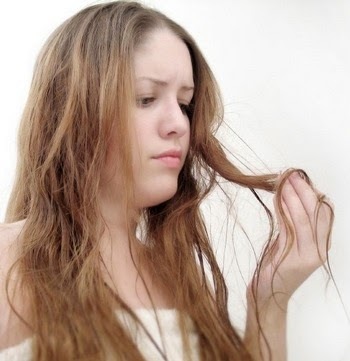 There can be various factors for dry hair. The external environment, usage of chemicals, hormonal changes are some of the major reasons for dry hair. If you add more junk and oily food to your hair, it will definitely impact your tresses. When there is a lack of moisture and nutrients in the hair, it tends to dry up. This leads to hair damage and hair fall. Always add fresh fruits and veggies to your diet.The dry fruits such as walnuts and almonds also have great impact on your hair. The sun steals away the moisture from your hair and scalp which leads to numerous hair problems. The air also leads to dryness of hair. The pollution causes dirt and impurities. Always cover your hair with a scarf or cap. Anything in excess will harm you. Do not frequently shampoo your hair. Use mild shampoos and the ones which are herbal and are less prone to chemicals. Keep a control on the other hair care products. Take few drops of oil of your choice. Warm it up. Use a cotton ball to apply the oil on your scalp. Slowly cover your roots and manes. Now massage in circular motions for next fifteen minutes. Do not be harsh. This will increase the blood circulation in your scalp, relax your skin glands and rejuvenate the cells. Cover your tresses with a hot towel and leave it for thirty minutes. Wash it off with mild shampoo and condition it. Follow this procedure twice a week for better results. It repairs the hair cuticles as it is rich in proteins. It is a volumizer. Damp your hair and spray some beer on your tresses and leave it. Allow it to dry naturally so that the smell gets carried away in the air. You can also dilute the beer in water and rinse your hair at the end. It contains Vitamin A and E which are essential to deal with dryness. It also has proteins which nourishes the hair and keeps them healthy. Take a ripe avocado and mash it. Take 1 ripe banana and mash it. Make a paste of all these two and apply it on your tresses. Cover it with a hot towel and leave it for an hour or so. Rinse it thoroughly after an hour. Shampoo and condition it. Take 1 cup of fat rich mayonnaise in a container. Add half cup of olive oil and 3 egg yolks in it. Mix them all together. Apply it on your scalp and the entire hair. Wrap it with a hotel towel or use a shower cap. Rinse it after an hour. Wash it with a mild shampoo. Repeat it twice a week for better results. They are rich in proteins and lecithin. They repair the damaged hair and strengthens them from the roots. Take 3 egg yolk in a container. Add 2 teaspoons of olive oil and 1 teaspoon of honey to it. Mix them well. Apply on the scalp and tresses. Egg yolk are natural conditioners and moisturizers. Wash it with normal water. Use a mild shampoo and conditioner to rinse it well. Apply this twice a week for greater results. Take 2 tablespoon of coconut milk in a bowl. Add this milk to your entire tresses including roots and scalp if you have dry hair. Cover it with shower cap and leave it for 30 minutes. Wash it off with mild shampoo. Take 2 tablespoon of honey in a container. Add water to it and mix them. Apply them on your hair and leave it for few minutes. Wash it off and see the results. Your hair will be more smooth and silky. Honey is a natural moisturizer. Wear scarf and stole while stepping out in the hot sun and the chilly climate. Do not use electrical products on it. Avoid excess usage of harsh chemicals on your hair. Do not go for tight ponytails and rubber bands. Hope this article had been useful to you. Do follow these simple tips and save your dry and damaged hair. These are time consuming remedies, hence patience is must. Do share your feedback with us and let us know if these remedies have benefited you.